Flat, fast and festive is how the Scotiabank Toronto Waterfront Marathon is described. 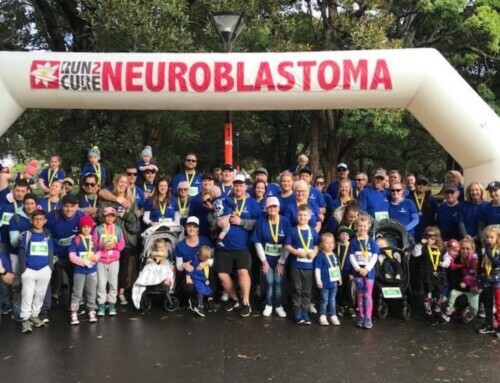 We relocated to Toronto in February of this year from Brisbane and I was keen for the challenge of another marathon and to experience one on our new home soil. 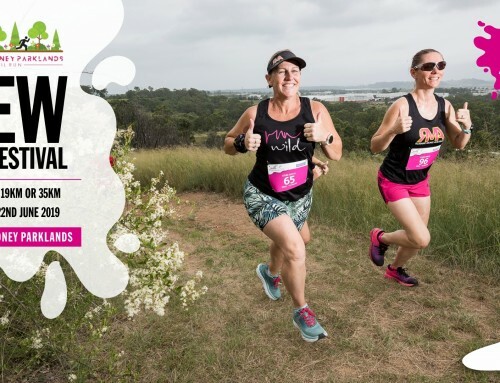 After running the incredibly scenic Great Ocean Road marathon in Victoria last year this marathon couldn’t sound more different so I signed up straight away! My ultimate aim was to get a Boston qualifying time (which is under 3h40m for my age category) but my goal time was to run under 3h30m. Given the nature of the route and my very solid 4 months training leading up to the marathon, I was confident I should be able to get the qualifying time for Boston and just hoped my legs would stay strong to enable me to get my goal time. The marathon & half-marathon runners started together at 8.45am in the morning in downtown Toronto. Thankfully the weather was unseasonably warm for this time of year in Toronto. Not too cold as we were waiting in the starting corrals and not too warm by the time I crossed the finish line. After singing the Canadian national anthem the 16,000 participants were off! The race started in downtown Toronto at the City Hall and meandered for 7km through the city to the waterfront. My first few kilometres were a little faster than I had intended so I slowed down slightly and quickly got into a rhythm at my desired pace. My legs felt pretty comfortable so I really tried to just soak in the atmosphere and take in as much of my surroundings as I could. The crowd lining the road was amazing. Neighbourhoods had set up entertainment stations throughout the course and their cheering, dancing, live music and deafening cow bells was the motivation every runner needed. The first 20km was run with the half marathoners running an up and back loop west of the city along Lake Ontario. This section was fairly flat except for a short hill nearing the end. A band was strategically placed at the bottom of this hill so their music and joviality provided ample distraction to enable me to attack the hill confidently and with a smile on my face. I crossed the half way mark in 1h42s and knew I was on track for a sub 3h30m but I needed to keep pushing and not become complacent. I was delighted to (finally!) see my husband and 3 children cheering me on around the 23-24km mark. It was at this stage that my legs were starting to feel heavy and I needed to keep mentally strong. I subsequently had my third gel for the race and focused on my form to try and regroup. By the time I passed my excited family cheering me on again at around 28km my legs had ‘recovered’ and I was able to get back into my running rhythm. ‘Only’ 14km to go I willed myself on! The last 12km was another up and back loop through an inner city neighbourhood, this time east of downtown Toronto. By this stage I was able to keep my legs ticking over and figured I was going to be tired whatever pace I ran so may as well keep pushing whilst I could. The supporters lining the road for this section were incredible. I had so many people personally cheering me on (my name was on my bib) and so many words of encouragement telling me I was looking strong. I’m pretty sure I wasn’t by this stage but the words were graciously received and boosted my mental game enormously. I kept my eye on the iconic CN tower which is in downtown Toronto not far from the finish line and willed myself on knowing there wasn’t far to go. With only 4km to the finish line I had another gel which gave me the energy to accelerate. By this stage the road was completely lined with spectators and the roar of the crowd was deafening. I searched hard to spot my family as I neared the finish line but there were too many people to distinguish or hear them! It was slight incline to the finish line but the roar of the crowd was the perfect distraction to spur me on. I glimpsed the clock as I crossed the finish line and a huge smile and wave of emotion hit me. 3h28m9s! I ran a fairly consistent pace throughout the race, finished strongly, got my Boston qualifying time, and ran quicker than my goal time. The run all came together perfectly and I couldn’t be happier with the result. 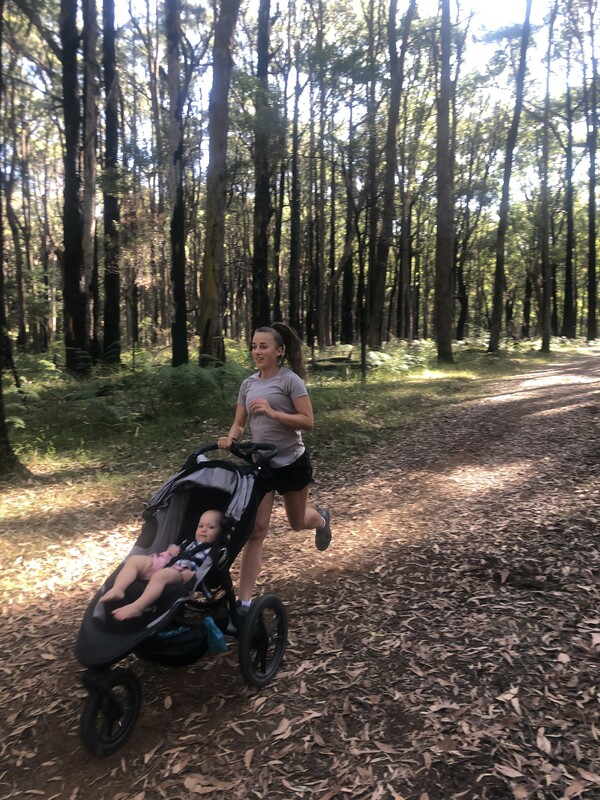 So much hard work and effort went into my training and I am incredibly grateful that my husband (and children) are so supportive of my running. I truly believed in myself and my capabilities and when you run a marathon, which is as much a mental challenge as it is a physical challenge, that is paramount. I would recommend this marathon or half marathon to anyone who wants to enjoy a fully sanctioned IAAF marathon in a distinctly Canadian atmosphere. It was so well organised and professionally run, the course proved to be fast and relatively flat and who doesn’t love running beside the water! For more information on this race, you can look here. Toronto is my hometown and that used to be a favourite race of mine. So glad you enjoyed it, and congratulations on smashing your goal! Well done!!! What a great run. 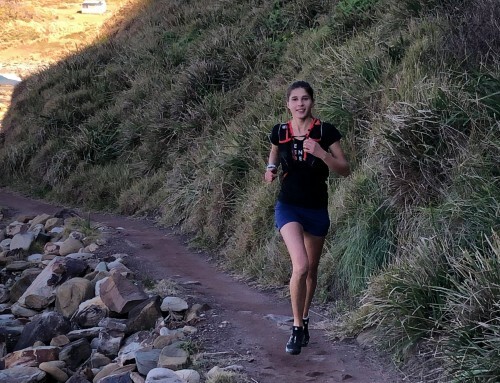 I’m committed to running my first full marathon at the Gold Coast next year and I loved reading this recap! Very inspirational ! We honeymooned in Toronto, love that city!